The Westwood home at 2150 Overland Ave, LA CA 90025 received a price change this week of 7.15% or $50,000, down to $649,000. 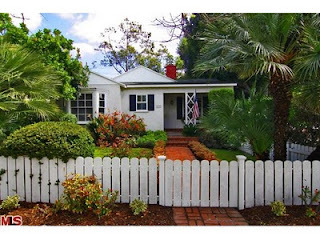 Listed 35 days ago for $699,000, this is the 1st price reduction of the current listing term. According to the MLS, the home is a 3 bedroom / 1 bath, 1,329 sq ft of living space on a 5,400 sq ft lot. The reason this home is offered so cheap is because of the location discount it must offer for being at the intersection of two major streets. Previously, the home spent about 6 months on the market in 2010 starting at $849k and reducing down to $725k.